VIERNES RETRO: ¡20 aniversario de Mario Party! Happy 20 years, to one of our pampered sagas: MARIO PARTY ! That's right, this FRIDAY RETRO (February 8, 2019) dresses up, because just 20 years ago the hilarious MARIO PARTY premiered on Nintendo 64, which has garnered smiles and fun not only on that console, but in its aftermath by each and every one of the later platforms of the Great N.
Originally developed by Hudson Soft (Bomberman), Mario Party was launched on Nintendo 64 in 1999. 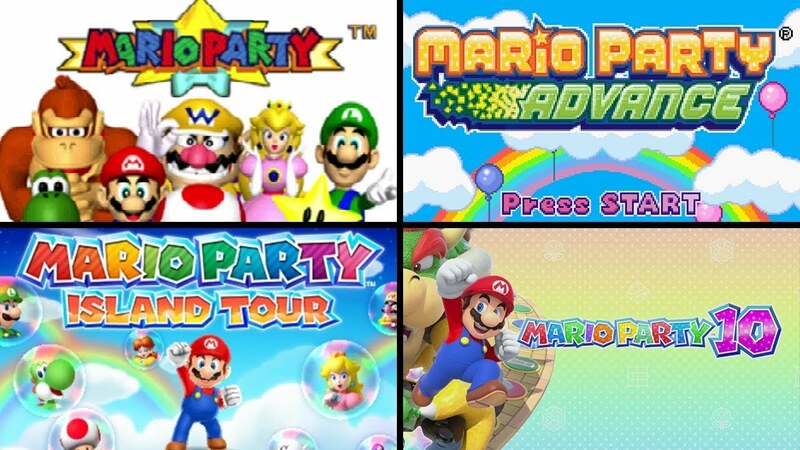 Mario Party 2 and 3 later arrived in 2000 and 2001 respectively, also on Nintendo 64. Mario Party 4 came on GameCube in 2002, to that in 2003 came the incredible Mario Party-e for the Game Boy Advance. The franchise continued in GameCube with Mario Party 7 in 2005 and that same year, Mario Party Advance. In 2007 Mario Party 8 and Mario Party DS came to Wii and Nintendo DS. Mario Party 9 would also come to Wii in 2012, jumping until 2015 with Mario Party 10. Mario Party: Star Rush came to 3DS in 2016, with the great collection Mario Party: The Top 100 in 2017. And the most recent jump is to Switch with Super Mario Party, released just a few months ago. What a story! It is not true? We leave you with this fun nostalgic video, and we remind you that you can buy the recent SUPER MARIO PARTY in our stores and platforms.